I am writing this to thank a young lady. The first time we met was in a bus and that was also the last time we crossed path. When I first saw her, she was occupying my seat in the bus. I moved towards her; she looked up at me and smiled. She had the most beatific smile and was very cute-looking too; but the journey was long and the bus was crowded, so I resisted her charms and showed her my ticket. With much reluctance, she raised her delectable self off my seat and cast me a sour look. Trying to be as civil as I can, I apologized for the inconvenience. She replied, “I don’t see why you have to make such a fuss, after all, you’ll be in the same bus!” I did not reply. I just waited in silence for her to move on. She took her time and when she finally left, she angrily said, “The least you can do is thank me for warming your seat.”The other passengers laughed and I reddened. I felt humiliated. It was during a cold winter morning at Lungtenzampa bus terminal in Thimphu and there was only five minutes left for departure, still I had to get out of that bus to clear my head, which I did. Outside in the cold, I shivered and was thinking myself; a pretty-looking girl, what a nasty behavior! I fumed, hah! her tongue can sting. Just then, I felt a tap on my back. I turned and there stood my oldest friend in the world. His hilarious face with a very warm heart was enough for me to forget everything for a while. Though for a moment, we had a very pleasant time together. Sadly, I had to cut short our conversation as engine roared to give a sign of final call for departure. As I jumped into a bus, I left him with the word that I‘d see him on my return. May you lead all the departed souls from the realm of sufferings to the Pure Land of Bliss. Now, I remember that unspeakable girl in the bus and would like to thank her for inadvertently allowing me that last moment with my best friend. Though things happen for a reason or call it coincidence, had it not been for her, I would not have had that last moment with my friend. Thank you lass, May God bless you! September 23, 2014. Today, we are observing the day as Thrue-baab meaning 'The Blessed Rainy Day'. Beginning today, the water around us is no more ordinary. We believe, the water gets sanctified and will remain the same for a week. During this week-long period, we will be bathing (preferably outdoor). In doing so, our accumulated sin, bad karma, disease and defilement will get cleansed. Back in villages, it is even more special as it marks the beginning of harvest season. It is a time for villagers to relax since it also marks the end of farming season. I remember how we used to observe Thrue-baab celebration during my childhood days. My parents would tell us how to pray and do a little visualization during the time of bathing. Right after the bath, we would be given Thrue Chhu (Holy water) from Bumpa (Ritual Vase) and Jinlab-Damzay (Holy pills). Then, the elders were served with Thrue Chang. Thrue Chang is a best quality home-brewed wine usually served after bath to an elite group in the society. No doubt, my elders used to enjoy Thrue Chang with much pleasure and pride. The festivity for rest of the day would then begin. I also remember how my parents worked hard, often sacrificing their own comforts just to make this day a big day for us. Today, as a parent myself, I am only following my parents and giving the best I can to my children. I hope my children and the rest will follow suit during their times. Ap Bokto - the first ever homemade 3D animated film in the country is a brilliant work of art. It is a treat not only to the young eyes but also to the parents and elders. This film serves a great entertainment with numerous adventures and suspense throughout. Overall, this is a great movie with a mix of comedy, tradition & culture, religion, family bond, poverty, innocence, human Intelligence and realizations… all rolled into one. Ap Bokto is definitely one to remember. A must-watch movie with your family! It is well worth your time and money. Ever since my first visit to this beautiful temple in early 1988, it has always been an object of fascination for me. It was love at first sight, and to this day, I am truly captivated by the enchanting beauty and rich spiritual heritage of Changangkha Lhakhang in Thimphu city. 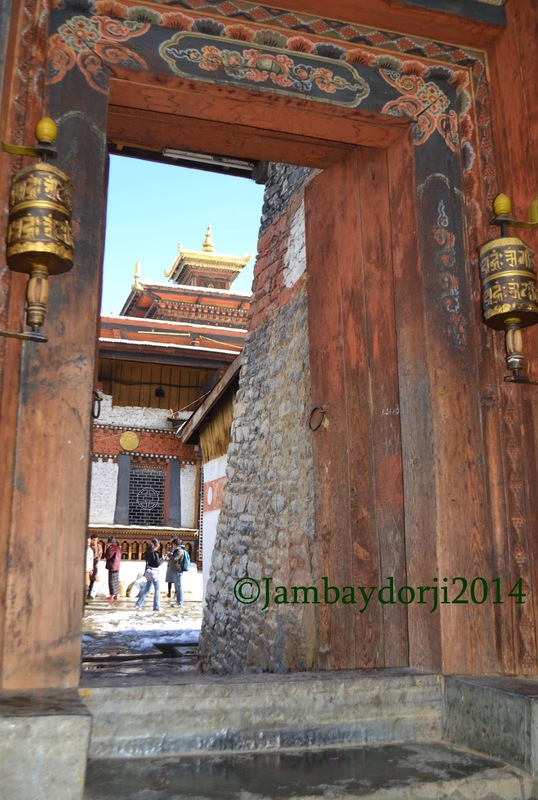 Lhakhang literally means “abode of gods”. Changangkkkha Lhakhang is indeed one. The place where the Lhakhang stands commands a beautiful view of the entire Thimphu valley. During my high school days, way back in the late 1980s, I used to visit this lhakhang between my long hours of study and other activities. To me, it was the perfect place to relax and refresh after hectic routines. I used to feel a magical air of peace and equanimity there. I was, however, too young and innocent to realize that the extraordinary solace that I got those days was indeed blessing from sacred relics and the deity housed inside the lhakhang. Being a school boy, I would not have sought more than divine support to pass my exams. I still visit this same heavenly place but as a middle-aged man and with my family. Today, I visit this lhakhang as a different person, an adult without the blessed innocence of the child. Now, besides deep gratitude, I offer more materialistic prayers. The lhakhang is still welcoming, fascinating and peaceful as ever. 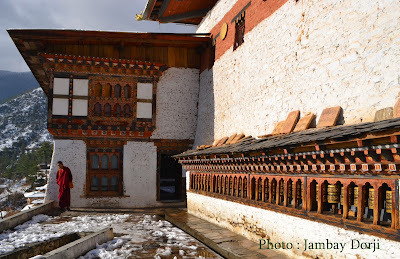 The lhakhang has stood the test of time. It is an oasis of tranquility in the increasingly noisy city. Changangkha Lhakhang is the oldest temple in Thimphu. It was built in the 12th century by Nyima, one of the four sons of Phajo Drugom Zhigpo, the founder of Dukpa Kagyud School in Bhutan. 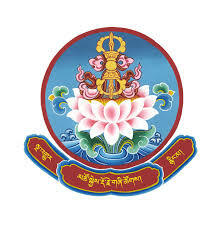 Phajo Drugom Zhigpo was revered as an emanation of Chenrezi or Avalokiteshvara. 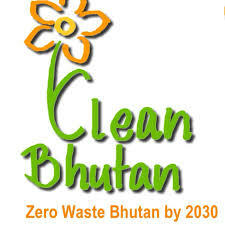 He came to Bhutan from Kham in Tibet to propagate the dharma as prophesied by his master, Tsangpa Gyarey Yeshey Dorji, who was the founder of Drukpa Kagyud tradition. Changangkha Lhakhang is one of the early medieval temples in Bhutan. One day, while Phajo Drugom Zhigpo was meditating at Dechen Drak, the string of his rosary broke and the beads scattered in all directions. 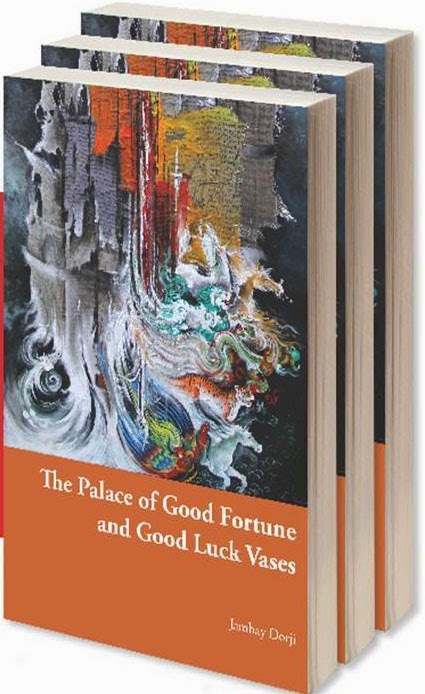 Considering this as auspicious sign, the lama said, “This is an auspicious omen that my teachings will spread all over the country in the future.” True to this omen, his teaching spread across the length and breadth of the country through his four sons and descendents. 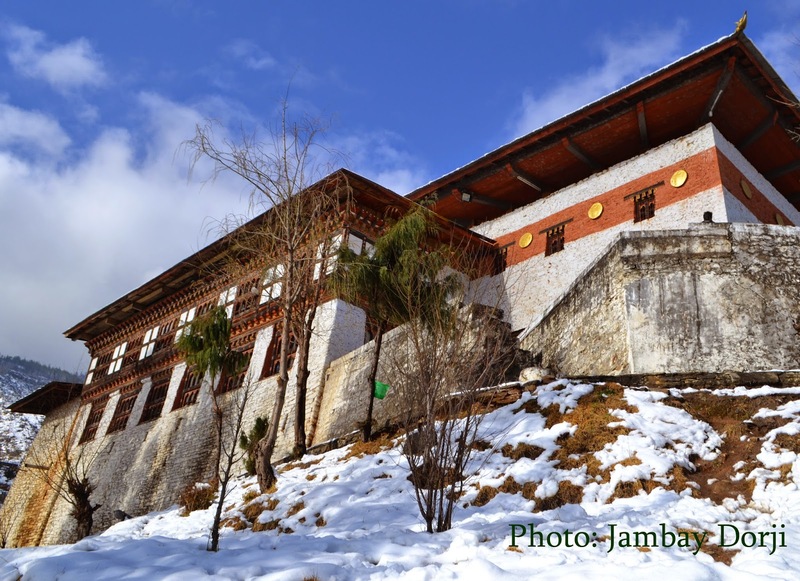 Changangkha Lhakhang is one of the five centres of Drukpa Kagyud propagation founded by Phajo’s sons and decendents. Dodeyna in Thimphu, Hungrelkha in Paro, Wachen in Wangduephodrang and Goen Sangmey in Punakha ae other regional centres of Phajo’s descendants. Changangkha Lhakhang was last renovated in 1998. 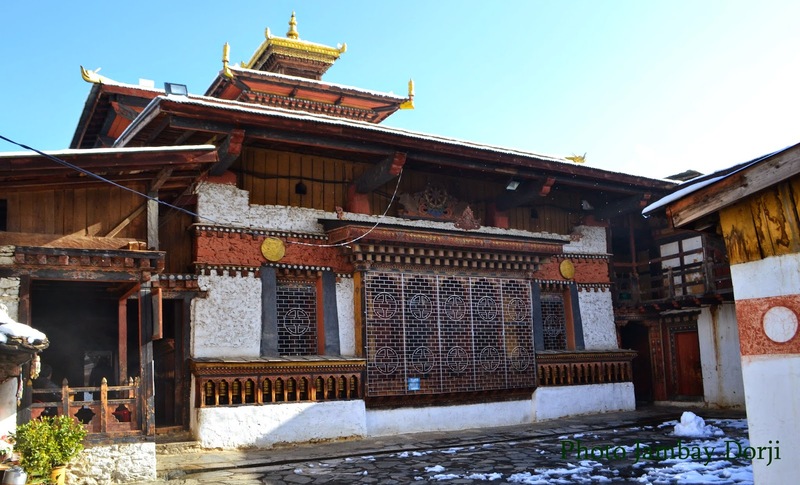 According to a hagiography, the place where the lhakhang stands is said to be magical. Viewed from below (the lhakhang is located on a hillock on the slope of Thimphu valley), it looks like the abode of gods that has just descended from heaven. Viewed from above, it appears like a wonderland that has just sprung up from the underworld kingdom of nagas, and seen from the middle, it looks like a palace where fairy-like children play, sing and dance. From the sides, the lhakhang is seen on a smooth plain where serenity, peace and happiness are perfectly assembled. The statue of Avalokiteshvara in the form of eleven heads and a thousand arms stands as the Central figure flanked by the statues of Hayagriva (the wrathful form of Avalokiteshvara and tutelary deity of Phajo Drugom Zhigpo), Guru Padmasambhava, Manjushri, Vajrapani, Phajo Drugom Zhigpo and his Consort Khandro Sonam Paldon. Khandro Sonam Paldon was a girl from Wang Simo in Thimphu who had all divine signs and qualities of a dakini. According to his vision, Lama Phajo met his destined consort at what was then known as Chagzam (Iron Bridge) and took her as his consort. This bridge then came to be known as Lungten Zampa, meaning the ‘Bridge of Prophecy’. After Lama Phajo met Sonam Paldon, he saw a vision in which Hayagriva, his tutelary deity, instructed him to continue his lineage through his children to spread the tradition of Drukpa Kagyud. Soon, Khandro Sonam Paldon gave birth to seven sons. One day, Phajo Drugom Zhigpo took all seven sons to a bridge and, after invoking the deities to decide which of his sons were demons and which were the ones who would preserve and promote his lineage, he threw all of them into the river. Three sons drowned and four remained totally unharmed. Nyima, the founder of Changangkha Lhakhang, was one of them. The lhakhang also contains stupas and sacred scriptures such as the Prajnaparamitra and other sutras handwritten by Lama Nyima himself. These scriptures are unusually large, which makes them unique and quite special. The place has been visited and blessed by many saints and masters, including Lama Jamyang Kuenga Singye, Lama Ngawang Chogyal, Lama Drukpa Kuenley and Zhabdrung Ngawang Namgyel, among others. The lhakhang is also home to the protector deity for the children born in the valley. It is believed that the local deity of the lhakhang, Gyenyen Domtshangpa, takes care of every new born in Thimphu valley. 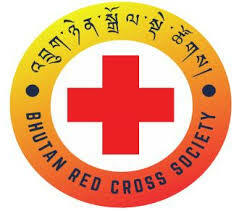 Hence, he is the birth deity of every child born in Thimphu city. Gyenyen Domtshangpa’s statue riding a horse can be seen in the lhakhang. A birth deity is believed to have influence on the life and well-being of children depending on how well and regularly he is appeased. 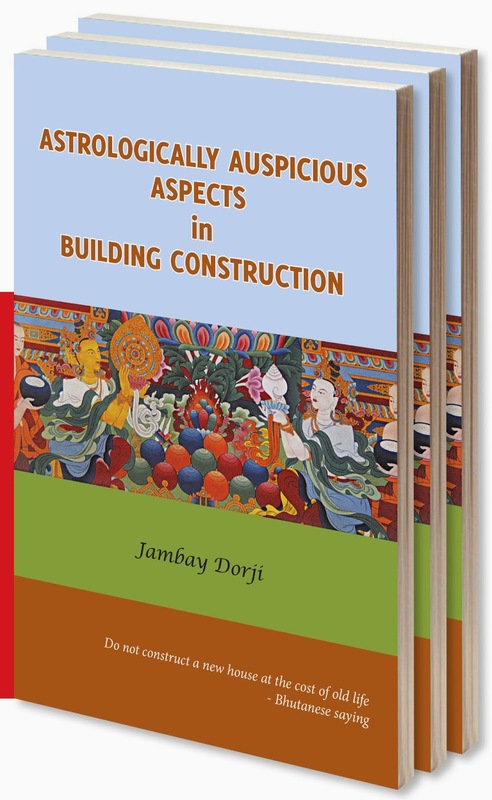 According to a legend, Gyenyen Domtshangpa was originally a demonic spirit causing harm to humans. Having been subjugated by Guru Padmasambhava, he took an oath of becoming a dharmapala or a dharma protector. Phajo Drugom Zhigpo and the other members of his family were believed to have been protected by Gyenyen Domtshangpa. Gyenyen Domtshangpa is the birth deity of my youngest son, who is now nine years old. Like all other parents, I pay visit to the lhakhang regularly and make offerings to Gyenyen Domtshangpa. With the blessings and protection of the deity and the lhakhang, my son is doing well and so am I. Thank you for stopping by my site. This is the site/blog of a man who loves reading, writing and keeping himself meaningfully engaged. As a corporate employee, it may not be so easy for me to do many things at a time. Experts can do it but I am not an expert. It is only my crazy nature that inspires me to continue being a jack of all trades. Nevertheless, I will sleep less, play less and manage myself to update this blog on regular basis.